Auditions are open to all students who play an orchestral instrument and who are 14 years of age or under on April 27, 2019. Contestants may play a piece of their choice from the standard repertoire for instrument and orchestra. Preferably, contestants will play from memory. Contestants must provide their own accompanist for the audition. Interested musicians must live in Bucks or Montgomery Counties in Pennsylvania or within a 30-mile radius of Doylestown. 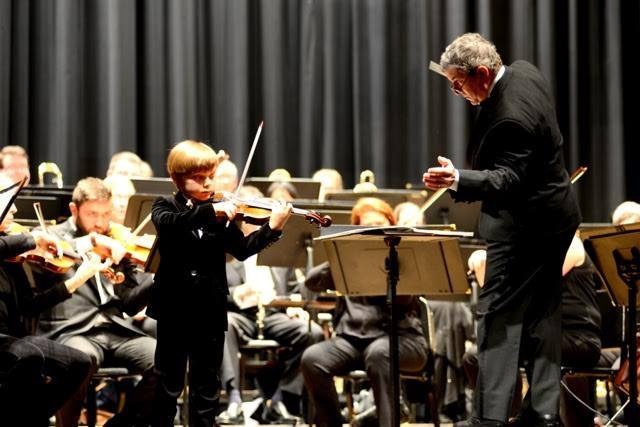 The winner will receive the Jeanne Marvin Phillips Prize of $500, the Delaware Valley Music Club Marie Paxson Fund Prize, and an invitation to perform with the Bucks County Symphony Orchestra at the Family Concert in December 2019.